Effortless everyday chic and comfort – that’s what we are all looking for, isn’t it? 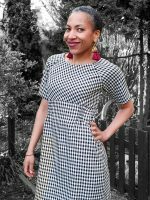 Well, here it is – the Everyday Chic Dress, my newest sewing pattern. 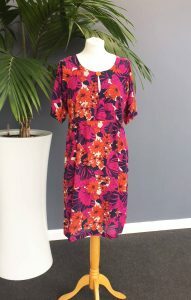 I love the way the dress nips in just above the waist and flares out to a gentle A-line. 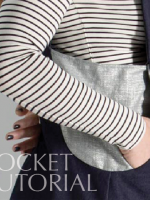 This fitting is created by smocked elasticated panels, one at the back and 2 small ones under the bust at the front. These are a pretty design feature but they make the dress super comfy, pulling it in to create a nice silhouette but also allowing easy movement. I love the giant pockets that you can dig your hands deep in to. The wide boat neck combined with the V slash at the front is really flattering, just low enough to show a bit of collarbone and chest without flashing too much cleavage. And the generous fitting, half length raglan sleeves make it suitable for all seasons. 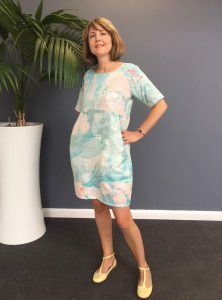 The Everyday Chic Dress comes as a multisize paper or downloadable pattern – sizes UK 8 – 22 (or US 4 – 18). 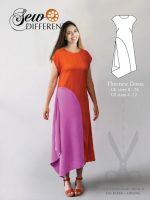 There are fully illustrated instructions and all the info you will need about how much fabric and how to lay your pattern out. 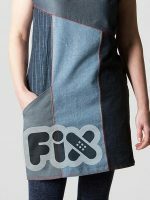 The pattern cover shows the dress made up in a gorgeous chambray with a slight sheen. This fabric is from Fabworks Mill Shop and costs £6/m. 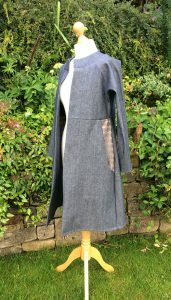 The Everyday Chic Dress is very versatile and would also work well made in a needle cord, ponte, scuba, denim, heavy jersey, wool or a decent weight cotton. The dress works equally well made up in something heavier. My other version of this dress, shown at the bottom of the page, is a sumptuous geometric patterned velvet. I have worn it all winter long with thick tights and boots. The gathered elastic ruching is easier than it looks. It’s created with shirring elastic run through your sewing machine, which works with most standard sewing machines. I have done a tutorial on the How to page to accompany the pattern. 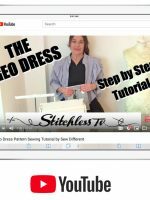 It runs through how to set up your machine and links to a Youtube tutorial for a step by step talk through. 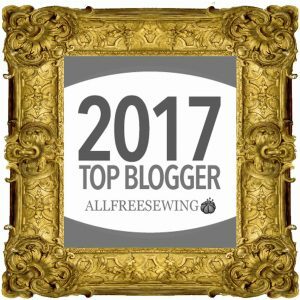 This pattern is accessible for everyone from the experienced seamstress to the complete beginner. 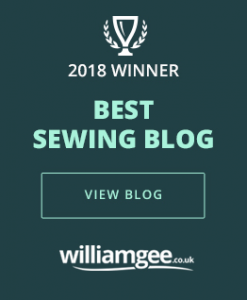 Everything you need, from how to put the dress together, tips on the techniques you will need, amounts and types of suitable fabric and pattern layout all come with the pattern or can be found on the website. Have you seen the pattern hacks for the Everyday Chic Dress? Click on the images below to take you to the article.